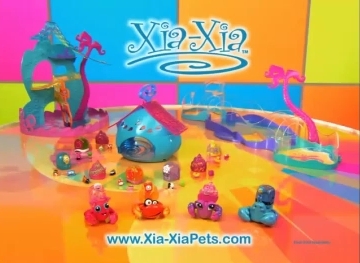 The first Xia Xia commercial is appeared on TV and funny Sha Sha crabs dancing, playing and scurrying all around their playsets. You can find the Xia Xia commercial here. Hope you like it. Share you thought in the comments below. For me just, the brand sound very strange it seems Sha Sha or Shah Shah instead of Xia Xia, anyway crabs are very cute! I added a couple of screen-shots from the TV video, hope you like them too.